The Chevy infotainment system provides access to Apple CarPlay and Android Auto capabilities, allowing drivers to connect a compatible smartphone and access maps, news, weather, music, and more. More than just a convenient concierge service, OnStar allows drivers to locate local businesses, check real-time traffic, and even has a slew of safety features that get help in the event of an accident. Know about Bolingbrook road conditions and automatically re-route the drive to ensure the Malibu gets there quickly and hassle-free. An optional Bose 9-speaker audio system delivers concert-quality sound from any source, and the standard 6-speaker audio system is included in lower Chevy Malibu trims. Chevrolet has designed the 2018 Malibu to offer a comfortable interior space with room for as many as five adults. All trim levels offer 102.9 cubic feet of interior passenger volume, competitive with even the largest mid-sized sedans on the market, as well as 15.8 cubic feet of cargo volume – perfect for groceries or enough luggage room for a Aurora weekend getaway. From the uncluttered dash to the intuitive infotainment controls, the attractive Chevy Malibu is engineered to make every part of the drive more convenient, more relaxing, and more enjoyable. 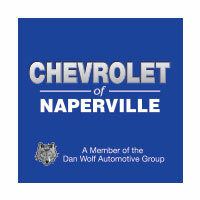 Compare the Chevy Malibu vs. Honda Accord or Chevy Malibu vs. Impala at Chevrolet of Naperville to see which one will best meet your needs.